Good morning! 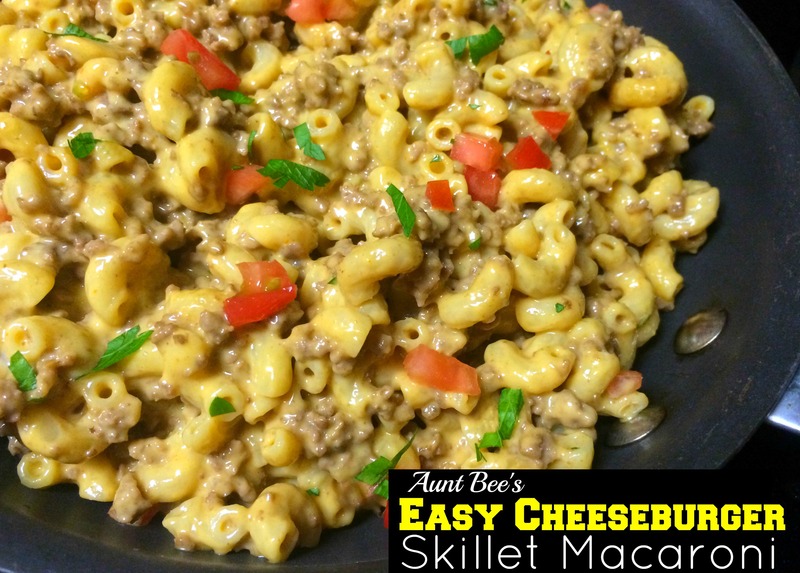 Today I am sharing one of my hubby’s all time favorite skillet meals! It is one of the easiest recipes EVER and only 5 ingredients! Quick fix meals like this that use pantry staples are an absolute MUST for our busy family. Raise your hand if you love Velveeta Cheese with your whole heart? *Raises hand* We serve this with Southern Style Peas or Soy-Balsamic Green Beans and dinner is DONE! Hungry for more? This Beef & Rice Skillet Meal is an ALL TIME favorite! Brown meat in large skillet and drain. Stir in water, ketchup and onion powder and bring to a boil. Stir in noodles and cover. Simmer covered on medium-low heat for 8-10 minutes, or until macaroni is tender, stirring occasionally. Stir in Velveeta until melted. Serve with toppings if desired. Enjoy! Love skillet meals? Check out more of our favorites here! Nice and easy Brandi – thank you. Looks delicious! I will be trying this, soon. New reader! Love your blog and this recipe. Welcome, Lisa! Thank you! Let me know if you ever have any questions!